US aviation authorities opened an investigation into pilot's sighting of a small unmanned aircraft in the air near New York's JFK Airport. 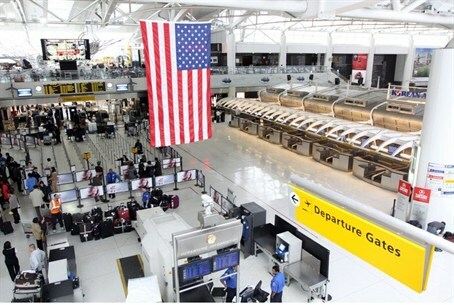 United States aviation authorities announced Tuesday they had opened an investigation into a pilot's sighting of a small unmanned aircraft in the air near New York's John F. Kennedy International Airport. The Federal Aviation Administration (FAA) said an Alitalia pilot reported seeing "a small, unmanned or remote-controlled aircraft while on final approach" to land at the airport on Monday. The pilot of Alitalia Flight AZA 60, a Boeing 777, spotted what may have been a drone about four to five miles southeast of the airport at an altitude of 1,500 feet. The pilot did not take evasive action and the Alitalia jet landed safely, officials said. "We saw a drone, a drone aircraft," the pilot said in a radio communication to the control tower, picked up and disseminated by the website LiveATC.net. While the exact nature of the aircraft remains unclear, there has been increased concern regarding the possibility of increased domestic drone use. The FAA proposed six test sites around the country last month for drones, possibly clearing the way for wider use, CBS News reported.